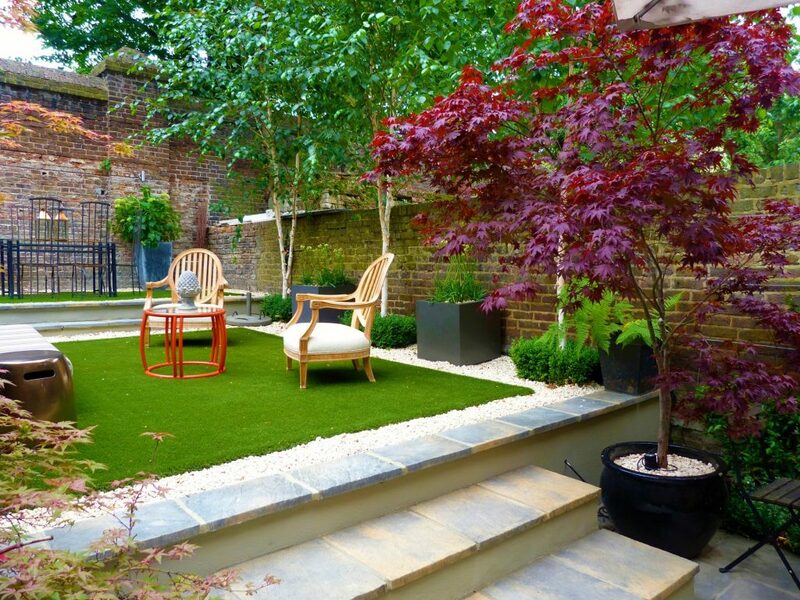 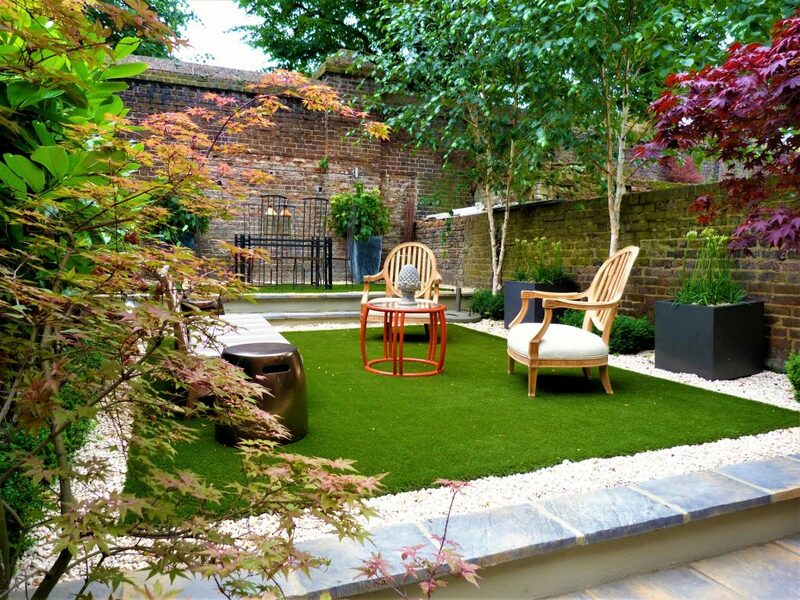 An eclectic garden designed to give the client much needed extra entertaining space. 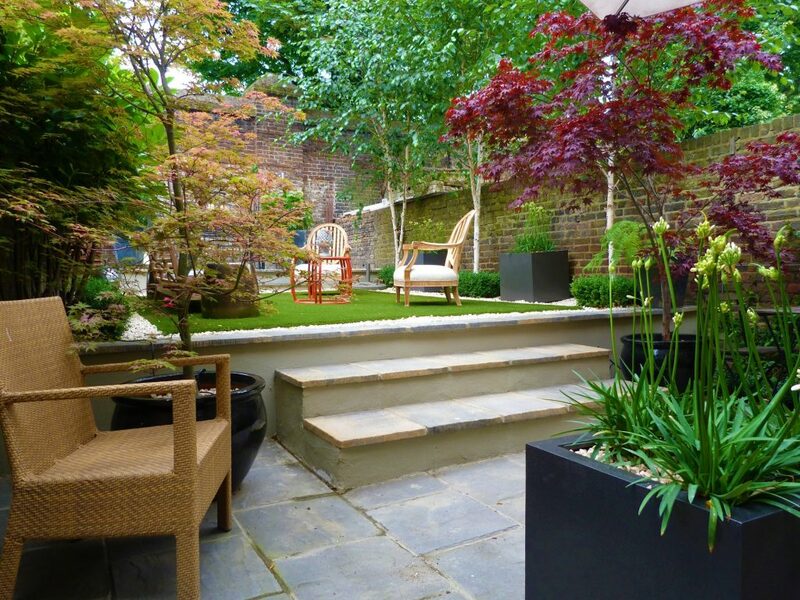 The repeat plantings of colourful Acer trees and three multi-stemmed Silver Birch trees give the garden instant maturity. 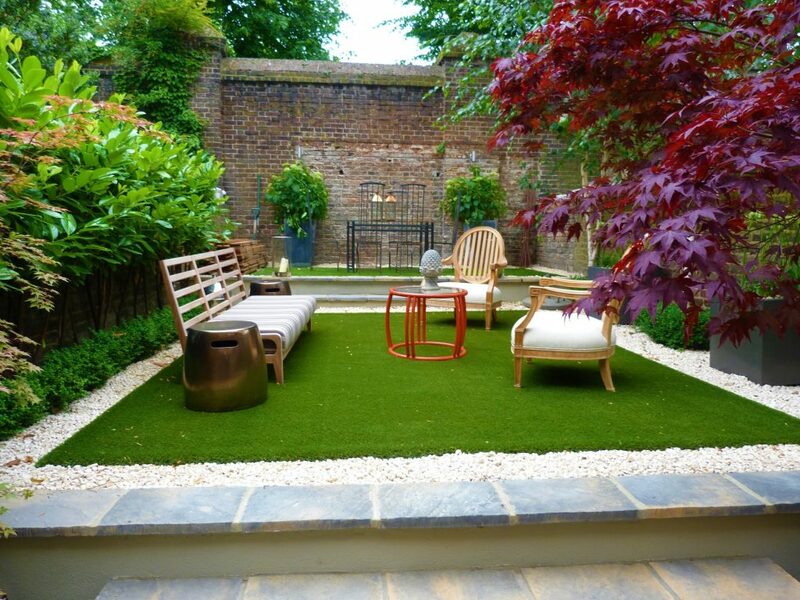 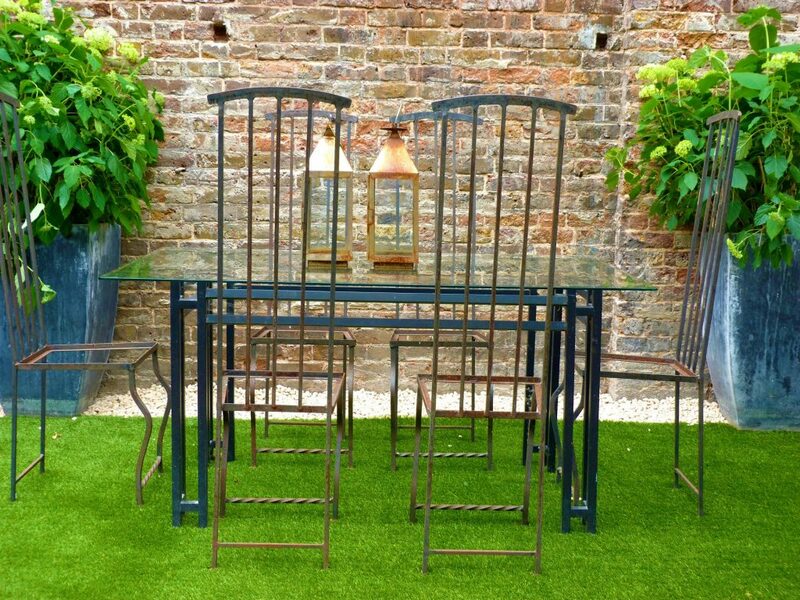 A secluded dining terrace near the house leads up to the new (artificial) lawn area where an outdoor sofa and comfortable chairs encourage relaxation. 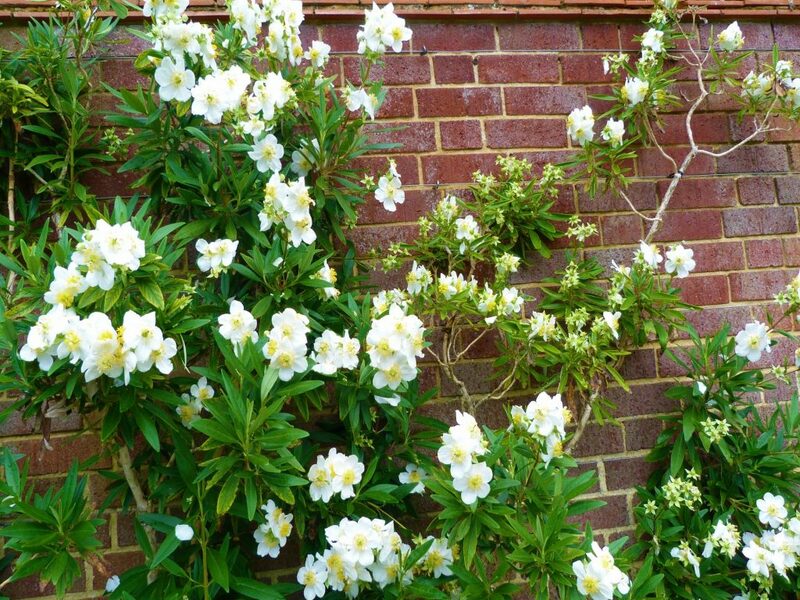 There is a new dining area at the back of the garden where the newly renovated wall will soon be covered with scented Jasmine and fragrant Carpentaria.